You guys are professional and prompt and I appreciate your service. Hi Tonya, Thanks for your help to date in selling my machines. You guys are professional and prompt and I appreciate your service. I've been able to sell 2 of my 5 machines through you guys as well as 1 side vendor Thanks! Denise, Thanks for your help. Your responsiveness and attention to a hot lead led to a sale of a piece of equipment that I didn't think would gain much interest. Much appreciated! Best thing was that they sold my item! I'm glad that I found USED vending. All the representatives were professional and explained the process well. Best thing was that they sold my item! The company was reliable and always followed up with me. 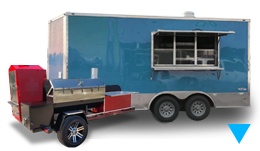 I was very happy with the customer service experience and would recommend the company. Thank-you April!! You and your company made it super easy for us to find someone to take care of our needs! Jose has been very nice and professional. Thanks Again! I will definitely recommend you! 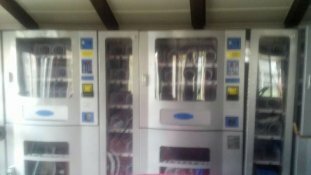 Working with USEDvending.com was a great experience to sell my 5 machines. It was taking up so much space at the house and USEDvending.com sold those for a price I was looking for and made my life a bless. Thanks again for your help with selecting and processing the order from start to finish. I am very happy with the drink machine 600E, it will serve the needs of my 45 employees well. You were most helpful in choosing the right machine for my needs and budget, further with follow up questions and getting me the labels we needed. I have already recommended your company to another TCA Office in Boise ID, you may get a call from them in the future. After trying to find a vending machine company for 2 months I decided to try 4VendingTips.com. 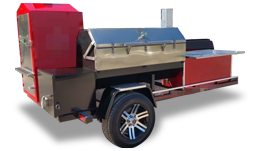 They quickly got with me and within a few days had connected me with a company willing to provide us what we needed. Great job! I've sucessfully purchased candy machine lots twice from Usedvending.com and both times have been very pleased with the results. Calice is GREAT to deal with. My last deal only worked because of her persistence and understanding. I highly recommend both the site and Calice! I received a location notification from 4Mega Vending, and found it very interesting. I contacted Gini and she helped me through the entire process, and I was awarded the location. As it turned out the securing of the location took longer then anticipated, and was more troublesome then expected. Gini stood by me the whole way and was in constant contact with me. With her help I was able to get the location and complete the installation of the machines. I am very much looking forward to working with Gini and securing more locations. My appreciation to Gini and everyone at 4 Mega Vending. My husband and I have just started in the vending business and we needed some dollar bill changers. Stacy Sweet was our sales contact. Not only did he have good prices but also gave us beginners some valid advice. Thanks Stacy. This was my first experience buying a vending machine. I can't believe how easy it was to find a machine to fit my needs and make the purchase. The overall transaction was fast, easy and pleasant. Thanks to Calice for her help and answering questions. A worthwhile service with exceptional people. Mr. Stacy and this company has always been great in providing and extra opportunity to expand my ever growing business. A worthwhile service with exceptional people. 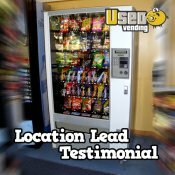 Purchasing vending machines was a new experience for me, so to close my first deal, I relied on Usedvending.com's Vannessa Long to get the sale done. She was easy to deal with and made sure it went smoothly. April was absolutely outstanding to work with! She went out of her way to help and meet all of our needs, from answering all the many questions, helping patiently while the credit card went through, and kept me informed of the delivery! April was so knowledgeable of the vending machine and she made a good recommendation. I am so please as she made a purchase of a vending machine a pleasure. I had a great experience doing business with this company. 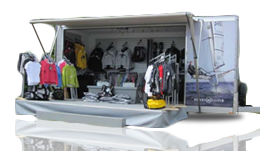 Specially when I had no experiance about vending business. 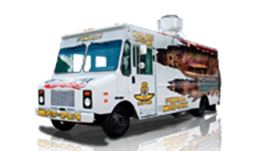 I have recieved a reliable info about which machine I needed to buy in a given location and what it takes to grow my vending buinesses not to mention a very attractive business card brought me a handfull of locations. They are very truthfull, realiable and dependable. Melissa was just the BEST person/middleperson for the job of finally getting rid of my machines! She was persistant and consistent and I truly appreciated all her efforts! I have been very pleased with the support I've received from Usedvending.com. Melissa has been great to work with and is an advocate for both the buyer and seller. 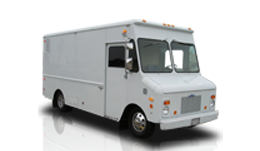 She coordinates with both parties to insure the transaction goes smoothly and that everyones needs are met. 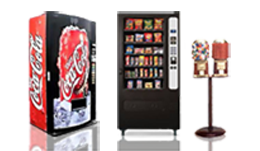 I have been very surprised at how easy it is buying used vending equipment online. Thank you Melissa and Usedvending.com. Melanie has been wonderful assisting me in obtaining vending machines for our facility. She has been in constant contact with me throughout the screening process and has followed up with me to make certain I am satisfied with the services. I truly thank Melanie for her professionalism and will definitely recommend your services to our other offices.